The FREE, lite version of AGACAD's wood framing solution for Autodesk® Revit® users is available. Please get in touch with us to receive the free installation! Explore the FULL-POWER versions of AGACAD's professional BIM solutions for designing wood structures – including CLT, SIPS, and heavy-timber framing – below! AGACAD framing software also assists in designing buildings with structural insulated panels (SIPs), cross-laminated timber (CLT) panels and heavy-timber frames. Wood Framing Wall makes framing wood walls fast and easy with real-time full project updates in Revit®. Plus it generates views with automatic dimensions for wall panels or segments as well as accurate bills of materials and shop drawings. So quality production and accurate assembly on site are ensured. Wood Framing Floor makes framing wood floors fast and easy with real-time full project updates in Revit®. Plus it generates views with automatic dimensions for floor panels or segments as well as accurate bills of materials and shop drawings. So quality production and accurate assembly on site are ensured. Wood Framing Roof lets Revit® users instantly create prefabricated wood frame roof panels, wooden truss and/or rafter systems of any shape or complexity, perform structural analysis, and generate custom shop drawings. It’s a potent BIM workflow booster. Functions are versatile, parameters easy to control, and changes occur in real time. No more drafting – just design and decide, knowing you’ll get a high-quality model. Wood Framing CLT lets Revit® users instantly create cross-laminated timber floor, roof slabs and wall panels of any shape or complexity. Functions are versatile, parameters easy to control, and changes occur in real time. No more drafting – just design and decide, knowing you’ll get a high-quality model. Plus the software generates views with automatic dimensions for panels or segments as well as accurate bills of materials and shop drawings. So quality production and accurate assembly on site are ensured. Wood Framing SIPS makes framing with structural insulated panels – prefabricated building components for use as walls, floors and roofs – fast and easy with real-time, full-project updates in Revit®. Plus the software generates views with automatic dimensions for panels or segments as well as accurate bills of materials and shop drawings. So quality production and accurate assembly on site are ensured. 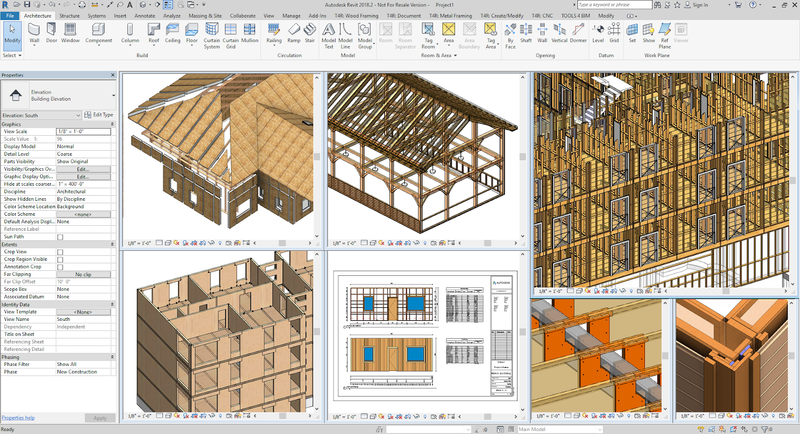 Wood Framing OAK lets Revit® users instantly frame heavy-timber walls, floors, and roofs, create post-&-beam structures, perform structural analysis, and generate custom shop drawings. Functions are versatile, parameters easy to control, and changes occur in real time. No more drafting – just design and decide, knowing you’ll get a high-quality model. Wood Framing LT is brought to you by AGACAD. It's free. There's more information available on the AGACAD website.